The reason I decided to pick up this book was because my mum recommended it. She’d been listening to the radio and heard it being mentioned, and, nowing how much I (strangely) love to read books about bereavement, thought it would be a good read. Here’s some advice folks: always trust your mother. 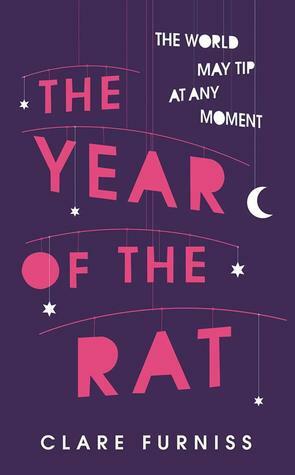 ‘The Year of the Rat’ was a poignant and well-executed piece of young adult literature. I absolutely love when authors tackle overwhelming subjects like a death in the family, in this case, Pearl’s mother, and how characters react to it. I think reading books like this really opens my eyes to other people’s situations, and invokes a level of sympathy I didn’t know I had within me. The book was about Pearl’s mother who died in childbirth, and how Pearl has to come to terms with losing her mother for a baby sister she doesn’t want or love. She feels rejected and alone, pushing away the people who care about her because she thinks they won’t understand how she feels. Although, this wasn’t just about a girl with a dead mother. Scattered throughout the book were other, smaller themes, such as diverse family arrangements and dealing with a friendship that begins to feel one sided. Perhaps the biggest thing is book is about is feeling left behind. Something really interesting about ‘The Year of the Rat’ is how Pearl’s mother comes back to talk to her. I liked how the death seems to affect everyone but the dead. Pearl’s mother was exactly the same as she was when she was alive. That’s not to say that the matter was insensitive to the matter, but realistic and tasteful, without imposing beliefs about the afterlife, like other books of this genre. When reading, it was difficult to realise that Pearl was only a teenager. I’d argue that she was acting quite reasonable despite everything, and I could definitely sympathise with her point of view. But, like all teenagers, sometimes she was irrational. Furniss did an excellent job in writing about feeling misunderstood without Pearl coming across as annoying. What’s so great about this book is that someone of any age group could read it. It’s not solely for young adults. I think Middle Grade readers would appreciate the work and certainly anyone older than the casual YA reader would still enjoy such a beautiful piece of writing. Overall, I’d give ‘The Year of the Rat’ 4 stars, and hope that more people will pick it up in the future!